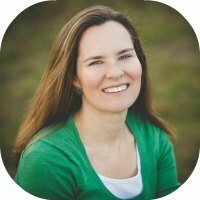 Want to raise creative kids but aren’t sure how? Here are 8 tips to get you started. My daughters were practically born with crayons in their hands. Drawing, painting, crafts – you name it – they do it all. Me on the other hand? Crafts make my brain numb and drawing and painting are akin to fulling grasping nuclear physics as far as I’m concerned. I love that my girls have embraced artistic expression, but I often wonder how I – a self-proclaimed non-creative – can help nurture their creativity? Is there anything parents can do to help kids’ creativity flourish? As any creative person will tell you, being able to express, invent, and think creatively can fill the soul. But beyond the satisfaction people derive from the creative process, there are other benefits – such as the ability to see the world differently, to think outside-the-box, and invent new ideas. It’s these skills that allow people to invent new technologies, improve upon the status quo and change the world for the better. In fact, a survey of 1,500 CEOs found that creativity was the most in-demand skill in today’s economy ahead of rigor, management discipline, integrity, and even vision. In his famous TED talk, Ken Robinson discusses the importance of creativity in today’s ever-changing economy. Learning a certain skill set, he contends, could be outdated in a few years. Instead, being able to think creatively – in other words, be adaptable –really prepares students for the unknown future they face. 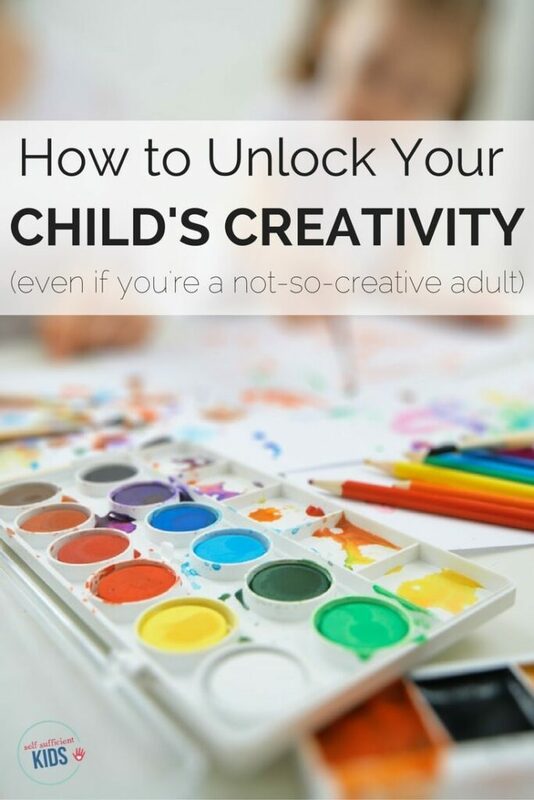 While schools are beginning to recognize the importance of creativity in their curriculum, there’s a lot parents can also do to encourage a creative mindset in kids. The good news about raising creative kids? It’s a lot easier than you think. That artist friend down the street who does children’s art projects every afternoon? Sure, her enthusiasm for artistic expression might be rubbing off on her kids but that doesn’t put the rest of us at a disadvantage. Those of us who feel we’re not very creative still have a chance at raising creative kids. It’s just a matter of recognizing what kids need to develop a creative mindset. At its core, creativity is about imagination. And letting kids develop their imagination, take risks, and feel free to express themselves is something all parents can support. And while some after-school classes may aid creative expression and thinking, creativity is generally less about instruction and more about exploration. The #1 rule to raising creative kids is time. Time to let them explore, time to ponder and create, time to let their minds wander, and time to get bored. It’s during this unstructured time that kids begin to pursue their interests whether they are building a fort in the woods, creating a structure out of Legos or drawing with Cray-pas. While sports, arts, and other activities can also benefit kids, kids need a good amount of time to themselves, preferably every day, to daydream and pursue their own interests. So the next time your kids come to you saying they’re bored, don’t rush in with a craft project you’ve planned, or worse, hand over the tablet so they can watch a show. Instead, help kids think of activities they can pursue on their own. And soon, after successfully overcoming boredom a few times, kids will often begin to occupy themselves without a parent’s help. While creativity can happen anywhere and with nearly anything, providing kids with resources to explore and create can support the creative process. These supplies don’t have to be expensive and more often than not, kids tend towards items that cost nothing at all. Ok, so I don’t actually recommend letting kids go through your trash, but there are definitely treasures to be found in a recycling bin. 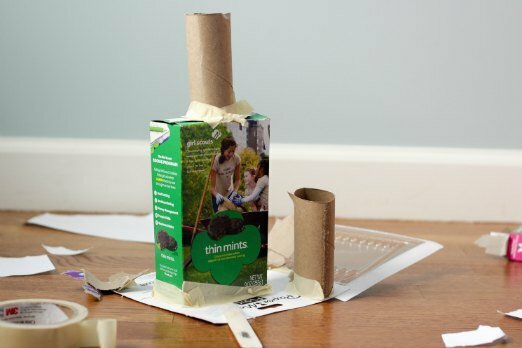 Egg cartons, toilet paper rolls, and cardboard boxes all let kids create on their own terms. There’s no instruction manual that tells them what to do. It’s up to the child to decide how to use these objects. Lots of thought, spontaneity and creative thinking go into open-ended creations. In addition to this list, kids can also make use of many things in nature such as pine cones, leaves, sticks, shells, and acorns to name a few. Embrace the mess. Mess almost always goes hand-in-hand with the creative process. 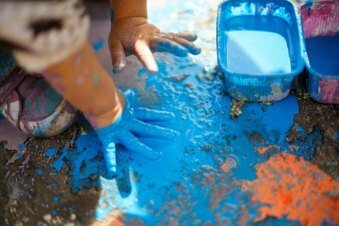 Hands & bodies covered in paint, little pieces of paper covering the floor, an open bottle of glue pouring out onto a table are all common side-effects of kids letting themselves freely explore their creativity. And once the creative process is done – let kids have ownership over cleaning up. Your assistance might be necessary for a few items but kids should and can be a part of the clean-up process. Embrace your own creativity: Maybe like me, you feel completely inadequate when it comes to drawing, but whatever you do – don’t let your kids know it. The confidence you express in being creative – whether it’s experimenting with a recipe or showing a love for writing will rub off on your kids. Resist the urge to direct: Letting kids have the freedom to explore on their own opens their minds to new ideas and helps them gain confidence in self-direction. Watch what you say: It’s often natural for parents to say: “good job” when kids complete a project, but researchers say it’s better instead to acknowledge the work, dedication or inventiveness a child expresses rather than use standard praise. Remember creativity is not a competition: Never compare kids creations or works of art to others. At this stage, any critique or comparison could make kids feel that being creative or imaginative isn’t worth it if they don’t live up to expectations. Don’t reward kids for creativity: Let kids be self-motivated when it comes to creativity. Rewards and incentives interfere with the creative process. While much of creativity has to do with hands-on exploration, creative thinking goes deeper and getting kids to feel confident in their own ability to problem solve and come up with solutions also develops a creative mindset. For example, if your son or daughter asks: “Why is there a moon in the sky?” your first response might be to talk about the solar system, what the moon is made of, and even discuss the astronauts who have walked on the moon. But instead a question such as: “Why do you think there’s a moon in the sky?” encourages kids to tap into their imagination and use their limited knowledge to problem-solve the purpose of the moon. Fear of failure is often death to creativity. 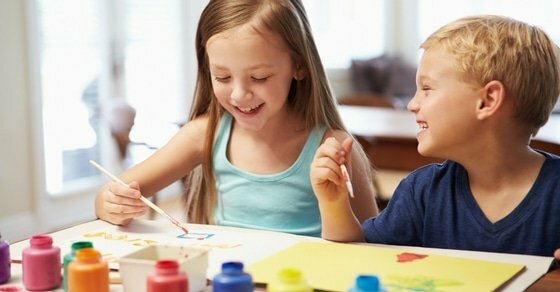 And while there is little opportunity to make kids feel like a failure when they present an art project, kids can develop a growing sense of not living up to expectations in other areas of life. Parents often play a role in how kids view and overcome failure, a recent study found. Our response after a child comes in last in a swim meet or receives a D on a math test can set their mindset on how they view intelligence. If kids see intelligence as something that grows with work and effort, there is less fear of failure. But if intelligence is seen as set – something that can’t change – a fear of failure and being exposed as unworthy can develop. Parents can help by consistently expressing the mindset that failure is an opportunity, a lesson learned and a chance to grow. For example, instead of getting upset over a child’s D grade, a parent can ask what the child learned from the test and whether asking the teacher for assistance before the test could help next time. 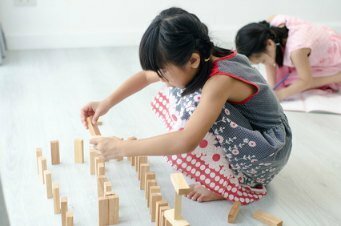 Kids’ creativity and imagination often come to life when they’re faced with boredom – or in other words – have unstructured time and are not being given direction from an adult. Screen time is often a boredom buster – giving kids a way to fill time when there’s nothing else to do. Certainly, technology is beneficial in some respects, given the many education apps available. The key is balance – making sure that in addition to screen time, kids have adequate unstructured time so imagination can bloom. Letting your child jump off a 7-foot shed? Probably not the best idea. Supporting your kid’s desire to try out for the school play even if he’s nervous? 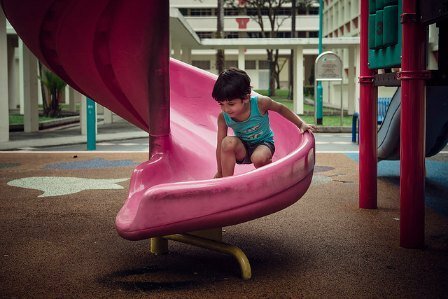 A parenting win in helping kids take healthy risks. The more kids feel safe to put themselves out there and overcome feelings of nervousness and intimidation, the more they’ll feel confident to express themselves creatively. Parents can encourage kids to take healthy risks, although supporting kids risk-taking isn’t always easy – especially if kids emotions get in the way. Here are 5 tips for helping kids take risks that provide guidance on how to support but not force kids to face their fears.